Research: Make sure that you're getting your news from a reputable source. 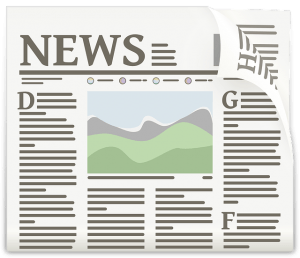 Online news sources like Google News and any national news syndication Web site are good, convenient sources from which to gather reputable information and compile research data. In this particular case, "Kim Jong-un and the North Korean nuclear threat" is a national security issue, making it easy to research at the most reputable, government Web sites. Structure: A well-written current events essay on Kim Jong-un will always have an easy-to-understand layout that smoothly guides the reader through your ideas. A traditional essay will have an intro, body, and conclusion; adding bullet points often engages the reader more effectively, keeping him/her reading more enjoyably. The introduction of your document should familiarize the readers with the topic and give them a brief outline as to what you'll be addressing. The body is where the majority of your information and facts will reside. You should cite the news source(s) a few times. Keep the essay's main point in the spotlight. Start the conclusion by re-establishing the main point. Finish with a strong, open-ended idea that makes your readers excited about what they just read. Facts: You've gathered rich facts that should interest your readers, so be sure to capture those facts and spread them evenly throughout your document to keep the readers engaged at all times. Unique Standpoint: A current events essay gives you an opportunity to express your personal thoughts and feelings about a particular subject or event that's already in the public eye. Write something unique that your readers wouldn't necessarily expect; they will likely praise your out-of-the-box thinking and viewpoints. Anyone can recite an existing news article. If you provide the reader with some fresh, innovative ideas, your grade will surely reflect your ingenuity and hard work. Now that we have discussed the four basic components of a good essay on a current event, we're going to discuss the last point in more detail and apply it to our topic. A unique standpoint is what will shine brightest in your current events essay. When discussing Kim Jong-un, some papers may cite his inexperience as a leader, but don't go into much detail about what this could mean for the future of Jong-un's country. It's common knowledge that inexperienced leaders are more likely to do or say irresponsible things that can lead to international conflicts. Elaborating in great detail on specifically what you believe that Jong-un has already done wrong will prove that you're dedicated to the topic and lend more credibility to your stances. Readers (including your professor) will respect you, which—in turn—will separate you from all of the students who just regurgitate "news" into the form of an essay. Is Kim Jong-un displaying his insecurity by flexing his nuclear muscles? Is Kim Jong-un's lack of outside influence a bad thing? Is canceling the peace treaty with South Korea, a U.S. ally, a way of slapping the U.S. in the face? Is Kim Jong-un using Intercontinental Ballistic Missile (ICBM) tests to suggest that North Korea can attack the U.S. mainland? You can use the questions and their answers to complete a number of insightful paragraphs supporting your overall opinions and ideas. Indeed, the ominous thought of the United States having to deal with an isolated, desperate, now-nuclear power that's verbally threatening the United States and breaking treaties with an ally of America should inspire plenty of questions. Employing this "questions and answer" strategy will thoroughly engage your professor and other readers, consistently earning you higher grades. The key to receiving a high grade on your current events paper isn't simply a matter of employing proper structure (i.e., introduction, body, and conclusion). Following the four fundamental and crucial points outlined in this paper will not only enable you to stand apart from your classmates and achieve a higher grade on your next paper, but it will foster a manner of writing that will serve you well in all writing endeavors in your academic and professional future. Wal-Mart has been found to violate gun ordinances in the past. In 2005, Wal-Marts in California were found to have broken several gun laws, including "selling to people that the AG's office had notified Wal-Mart were prohibited from owning firearms; delivering guns to customers before they passed a background check; and sometimes even failing to ascertain a customer's identity" (Zornick). Best current event essay help!